ARP's Undercut Head Studs are manufactured from premium 8740 chrome moly steel and heat treated to 190,000 psi. These studs are thread rolled after the heat treating process, which vastly improves their fatigue tolerance. Undercutting of the stud equalizes the "stretch", which makes for a more consistent clamping force; and one that compensates for head gasket compression when the cylinder heads are installed. This helps prevent blown head gaskets, and assures optimum engine sealing. Included are 12-point nuts and parallel ground washers. Also available are Undercut Head Studs With Hex Nuts. 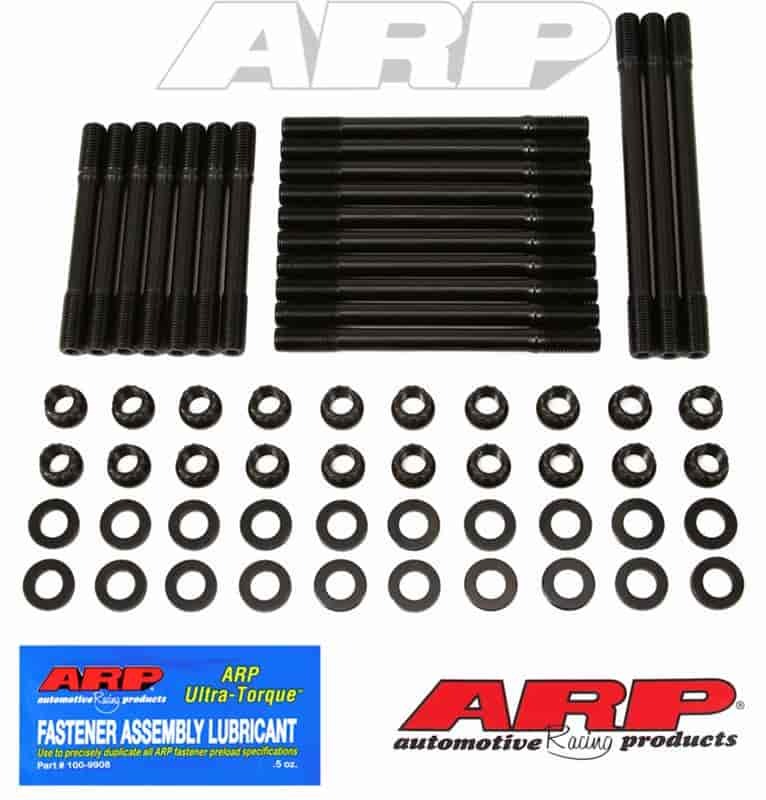 Does ARP 204-4705 fit your vehicle?